Should You Use a Custom WordPress Theme or Free Version ? 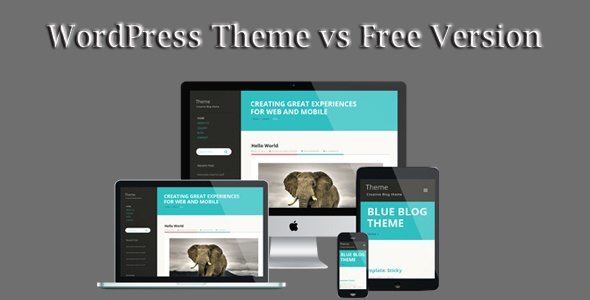 Whenever you are about to choose a theme, among the many questions that hit you, a common one is, whether to use a custom WordPress theme or a free theme. To make this decision easier, we bring you pros and cons of using both the WordPress themes. The first best thing about these themes is that they are free. It is easy to find them too. They are located in your WordPress admin panel. Free themes are compatible with a variety of plugins as compared to the custom themes. Why? Because they are in the official repository and they have met all the standards of approval. Free themes are leaner as compared to the premium themes. You can easily find a theme that meets all your needs and you won’t have to deal with extra features which come the custom themes. When you are downloading a free theme from the WordPress official repository, they will go through an official review process to make sure the theme is compatible with the idea of your website. Such type of evaluation is not present in custom themes. The free themes do not update that often. It is frustrating that you cannot update your WordPress because if you do so, it will break your theme. That can put your website to a lot of security risks.